Succulent plants have been super popular for a while now and they don't seem to be going anywhere. They are a great way to get some great natural colors in an easy to care for plant. 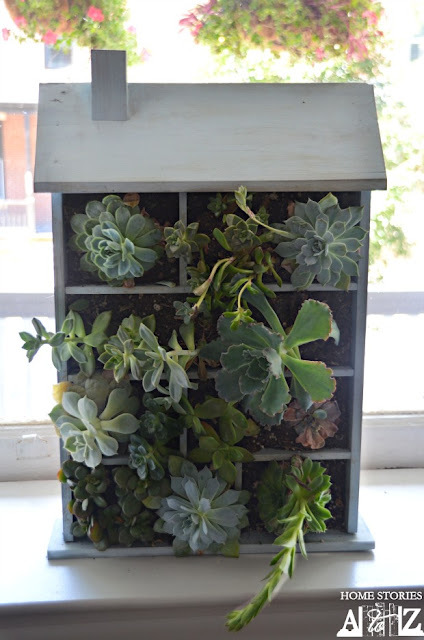 I have seen some fun ideas for succulent planters, but none quite as cute as this house shaped succulent planter that Beth made using plans that she shares with you on her blog. Even if you aren't in the market for a succulent planter, this cute house shaped planter could also double as a fun house shaped shelf. What little girl wouldn't love it in their room? You can check out how to make this DIY house shaped succulent planter over at Home Stories A to Z.